"I’m originally from Essex, in the east of England, but I have recently relocated to Mid-Wales to be amongst the mountains and moors. The wild, windswept tracts of the Cambrian mountains, Radnor hills and the Brecon Beacons are now my major source of inspiration. However, thoughts of the East Anglian coastline and its interior farmland are never far from my mind. 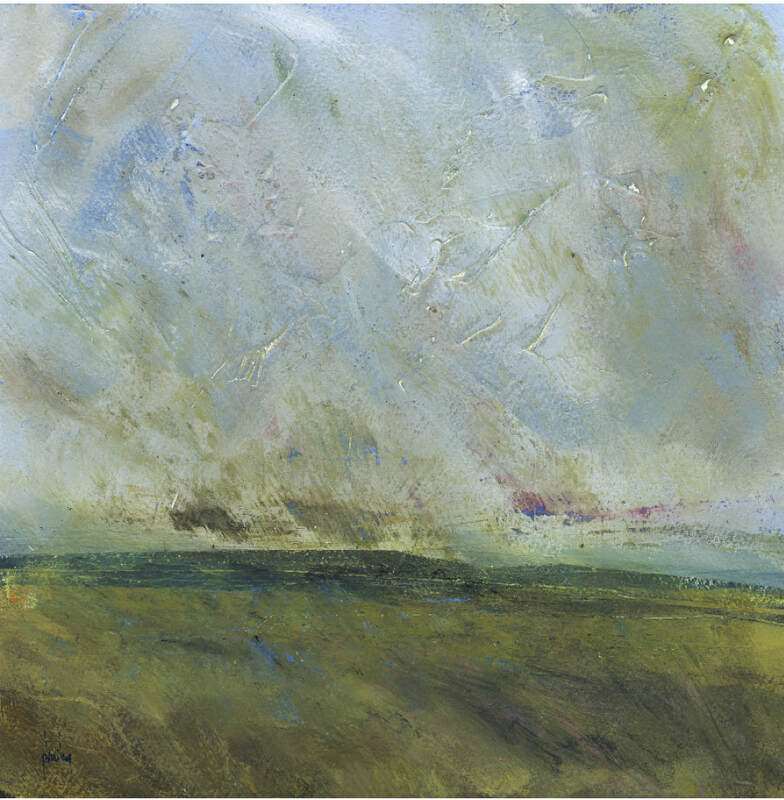 The semi-abstract nature of my work, my use of non-traditional techniques, my bold compositions and my dynamic use of colour help portray the varied British landscape in a new, vivid and surprising way. My work can be found within private collections and galleries throughout the world. I also supply commissioned pieces to international and domestic interior design companies and private collectors." Non members are welcome for a charge of £3.